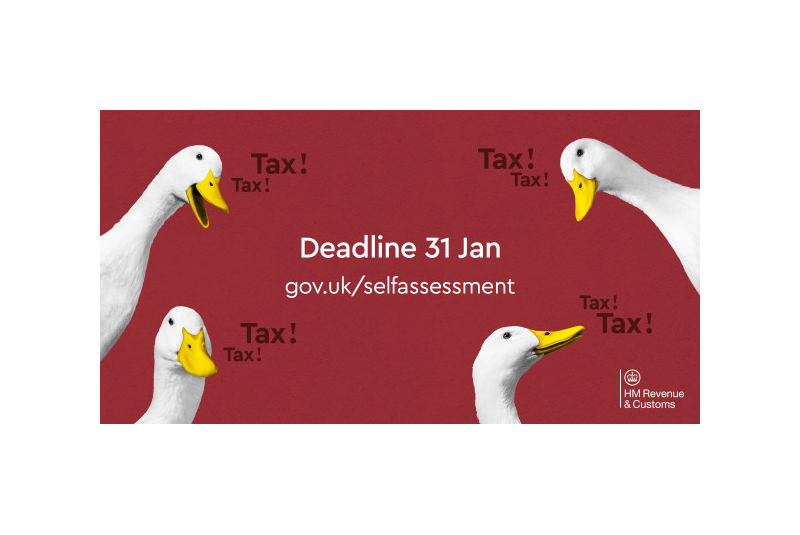 More than 3.5 million customers have less than one week left to complete their Self Assessment tax returns and pay any tax owed, warns HM Revenue and Customs (HMRC). The deadline to complete a 2017/18 tax return online is 11.59pm on 31st January, and last year more than 93% of customers filed their returns by the deadline. If customers think they will not be able to complete their tax return by 31st January, contact HMRC. Help is available on GOV.UK, from the Self Assessment helpline on 0300 200 3310 and on social media. Meanwhile, David Redfern, Managing Director of DSR Tax Claims Ltd, has issued guidance to taxpayers who may have a reasonable excuse for a potential delay, and will therefore be able to apply to have their penalty quashed, as well as the kinds of excuses which HMRC will not accept for delays in filing or payment. HMRC issues an annual account of the most unreasonable excuses it receives for late filing and payment, and this year has been no exception. Among its top excuses this year are a taxpayer blaming a broken boiler for them being too cold to type out their Self Assessment tax return, as well as a taxpayer blaming being cursed by a witchy mother-in-law for being unable to make the deadline. However, Redfern advised taxpayers that excuses far less outlandish than these can still be considered unreasonable by HMRC. Redfern commented: “We can all laugh at some of the more ridiculous excuses that HMRC receive each year, but that doesn’t mean that only the laughable excuses are rejected out of hand by HMRC. For example, if you hand over responsibility for your tax return to another and they fail to submit it in time or fail to make payment, you are still considered responsible and HMRC won’t consider an appeal on these grounds. Similarly, if your payment didn’t go through because you had insufficient funds in your account or you failed to send a tax return because you weren’t reminded by HMRC, these won’t be considered reasonable excuses. As far as HMRC is concerned, you are responsible for the filing and payment of your tax affairs and any failure of your own making will not be reason enough to appeal”. Other unreasonable excuses include not being able to use the online service because you didn’t understand it or making a mistake on your tax return. However, Redfern stated that HMRC does acknowledge that there will be occasions when taxpayers fail to submit their tax return on time or make payment on their tax return by the deadline with reasonable excuse. He stated that “HMRC does recognise that sometimes, for reasons out of the control of the taxpayer, the deadline will be missed… If, for example, you were hospitalised or had a serious, life-threatening illness which prevented you from attending to your tax return, you wouldn’t be penalised for not meeting the deadline. Similarly, if a close relative died shortly before the deadline, your failure to meet the deadline would be treated sympathetically”. He added that other reasons relating to causes outside the taxpayer’s control would also be considered by HMRC, such as service failures for HMRC’s online services or delays caused by a disability faced by the taxpayer in question. However, he added that “these excuses do not relieve the taxpayer of their tax responsibilities and they will still be expected to file their Self Assessment tax return and pay their tax bill as soon as they are able after the issue had been resolved. Redfern had one final word of warning for taxpayers getting ready to dust off their excuses in advance, stating that “HMRC will expect evidence that the reasonable excuse was valid, so these excuses aren’t just carte blanche to delay your tax return indefinitely”.